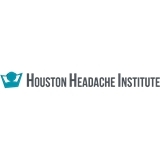 Houston Headache Institute (Houston) - Book Appointment Online! Meet the Houston Headache Institute, the FIRST and ONLY headache specialists of our kind in Houston; ONLY treating headaches and migraines. We are in a unique position to bring you the relief you so desperately need. We don’t simply try to address or mask the pain and send you on your way. We find real solutions, fueled by comprehensive treatment approaches, tailored to your personal need, effectively treating the source of the headcahe. The result? Finally, true relief! Our services include: Neurological evaluation, Customized treatment approach, FDA approved, Botox migraine treatments available, Experienced physician team, and Neuromuscular therapy. Dr. Sadeghi is a headache specialist and immediately considered diagnostic testing and diagnoses not considered by other neurologists for my headache condition that I believe are spot-on and will hopefully lead to resolution of this chronic problem.